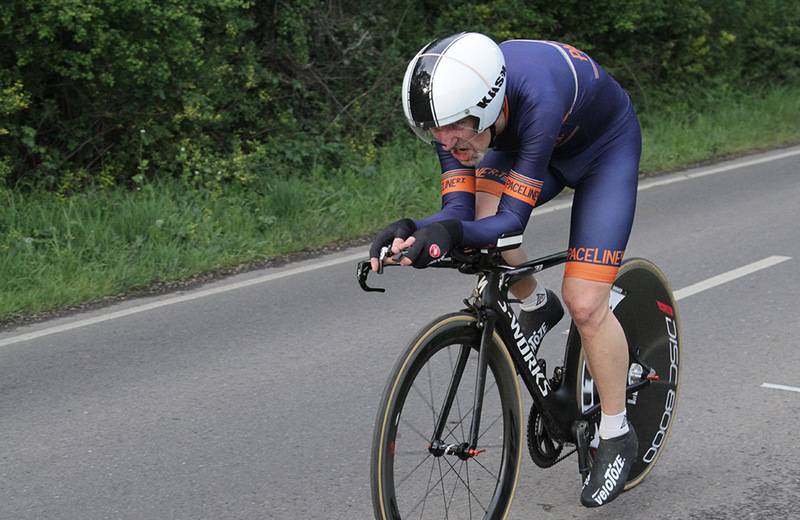 Tick, tick, tick… One by one Keith Lea is steadily picking off his season targets, the latest being Ben Instone’s course record on GS/338 at the Redhill CC Club TT on 11th May. Keith finished in 18:48 with second place rider Matt Peel of the promoting club pushing him close in 19:07. As Redhill club chairman Adrian Webb observed, Keith “was an object lesson in compact economy of movement” as he passed him twice on the course at over 30mph. In addition to the GS/388 course record, Keith achieved his other season’s targets of a short 19’ 10 mile TT with 19:22 at the Bossard Wheelers F11/10 event on 7th May and an open win at the PMT@ToachimHouse 25 mile TT on 13th March. Keith’s remaining targets include a long ‘49 25 mile TT as well as the course record on another local club course, the G10/39.